Here’s a totally unlikely and very welcome reissue of a unique African recording. 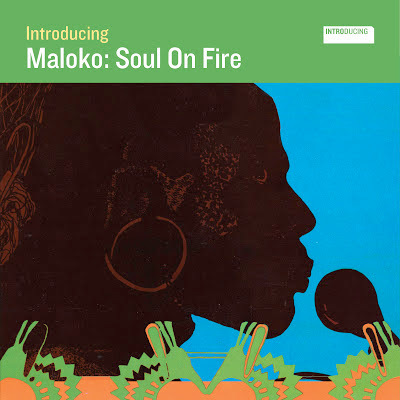 Soul On Fire is an example of a brief trend in 1980’s African music called the “non-stop” LP -- continuous side-long medleys of an assortment of songs. In the case of Soul On Fire, the components are American R&B classics: “Stand By Me,” “Wonderful World,” “In The Midnight Hour,” “Soul Man” and “Cold Sweat” among them. They’re re-interpreted in the style of Congolese soukous of the period: brisk tempos, brassy horn section, march-like snare drum patterns, female chorus and some fabulous guitar playing by Syran Mbenza, one of the Congo’s very finest. 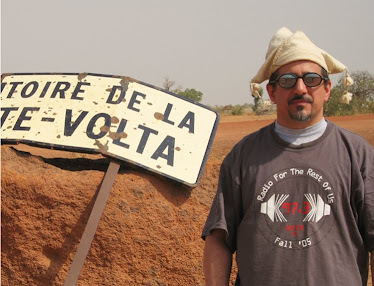 The project’s mastermind was Cameroonian guitarist Vincent Nguini (later Paul Simon’s bandleader and arranger on The Rhythm Of The Saints) and the lead singer is an American, Tommy Lipson. Someone had the bright idea of adding a metronomic four-on-the-floor disco beat to the medleys, which just makes the culture clash and time warp of the project that much more pronounced. It’s cheesy, it’s a period piece, but I dare you to not dance to it, and then to avoid smiling from ear to ear while doing so.